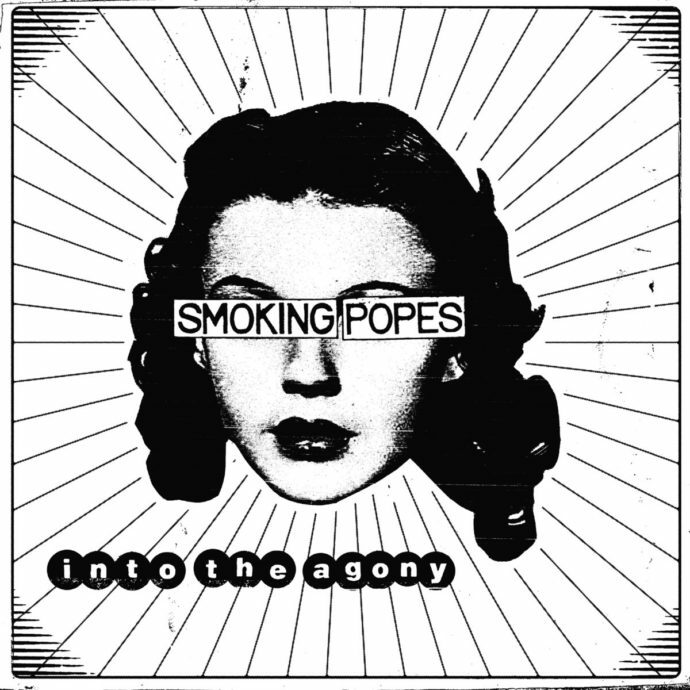 The original Smoking Popes‘ line-up disbanded in 1998 after releasing three successful albums, being on the Clueless soundtrack, and touring with pre-“Good Riddance” Green Day. Twenty years later, the original line-up reunites for Into the Agony, the band’s seventh album. While reuniting with drummer Mike Felumlee is great optics, how much does can it really change the band’s formula? From the offset, Into The Agony finds the Popes with a little pep in their step. “Simmer Down” sounds as urgent as anything from the band’s 90s catalog. When lead singer, Josh Caterer croons (and yes, he still does croon) “I don’t want to simmer down,” it sounds like a rebellious call to action. But the rebellion dies a little as Smoking Popes serve up standard pop punk schlock with songs like “Amanda My Love” and a completely unwarranted cover of Judy Garland’s “Get Happy.” Perhaps the hardest song to take from the album’s first half is “When You Want Something.” Carterer sings “when you lose someone that you never really had and that losing feels like what it means to die” during the song’s chorus” which sounds just as belaboured sung as it does typed out. The second half of the album does deliver more of the rebellion that the opener seemed to promise. “Little Lump of Coal” is one of the few pop-punk protest songs protest songs specially dealing with the environment. Carterer singing “we have sold our souls for a little lump of coal to keep ourselves warm through the night” with doo-wop inspired “through the night” backing vocals is a microcosm of everything the Smoking Popes do right. A similar political tilt is tried later in the album on “Melting America” but comes off a little heavier handed. Carterer sings the first verse, begin with “remember when Jesus taught us how to love” which is not out of the blue considering the Smoking Popes originally disbanded in 1998 because Carterer became a Christian and cited difficulty incorporate his faith into the band. That ends up being juxtaposed nicely with guest vocals from Tobin Bawinkel of Flatfoot 56 who starts his verse with “remember when Woody Guthrie told us all…” in his signature gravelly voice. The real issue with the song is the chorus where Carterer (and subsequently Bawinkel) sing “let’s hope things are not as bad as they seem.” In a sociopolitical time where hate crimes have risen by 17% from 2016 to 2017 and it does not seem like 2018 has fared much better, the message of “Melting America” is a little too tepid. Into The Agony, in general, might be too tepid. There are moments of urgency when you can believe that the re-addition of Mike Felumlee has brought Smoking Popes back to their heyday but the current climate of the world may not be the right time for songs about girls and half-hearted political anthems. A lot has changed in the last 20 years and the Smoking Popes have not changed enough with it.